A wonderful day to wind down and chill out. Clearwater provides one of the best beaches in this area of Florida, and there's nothing like a bit of sea air and warm sun to get you in the holiday mood! On arrival at Clearwater, you will be taken for a tasty lunch overlooking the sea. The menu includes sandwiches with fries and coleslaw; Greek, Caesar, Chicken or Tuna salad; Pasta; Pizza; Fish & Chips. The kids menu includes Burgers, Hot Dogs, Chicken Fingers or Fish & Chips. In the afternoon relax on the beach or you can choose to take one of the following great cruises. After the cruise you are free to enjoy the rest of the day at your leisure before returning to Orlando in the early evening. Dolphin Encounter Cruise - Dolphin sightings are guaranteed and this relaxing cruise on the beautiful emerald green waters of the Gulf of Mexico. 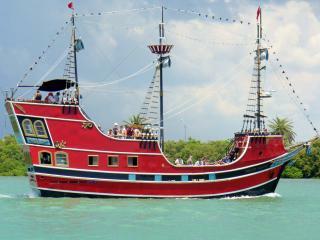 Pirates Cruise – a fun filled 2-hour cruise aboard the Pirates Ransom. Accompanied by a pirate crew and the relaxing tones of cool reggae island & steel band music, set sail on a swashbuckling adventure in search of dolphins. Every passenger will enjoy their choice of soft drinks, beer, wine, or champagne, while searching for the bountiful dolphins, while aboard ship. The spirited pirates may belly on up to our full service bar to purchase their favourite libation. 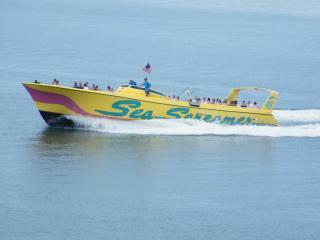 Sea Screamer - experience a thrilling 60 minute speedboat adventure across the beautiful Gulf of Mexico. 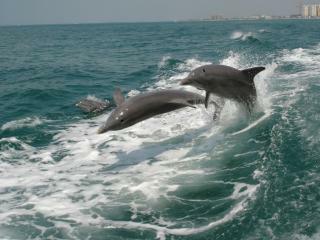 The Clearwater Beach excursion operates on Mondays and Wednesdays. The tour picks up from various central locations in Orlando between 7.00am and 8.00am. You will need to make your way to the nearest pick-up point which will be detailed on your ticket voucher. 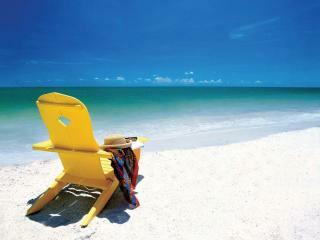 Return time to Orlando is around 7.00pm and the transfer time to Clearwater Beach is around 2 hours each way.